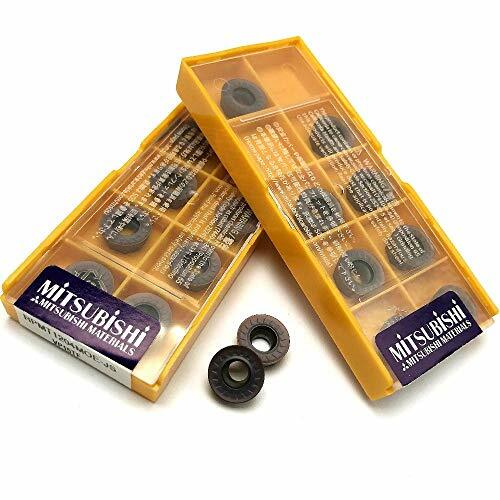 Drill accurate center holes in material prior to turning, or use as a starter bit for accurate holes in stock. Sizes 1, 2, 3, 4 and 5, 60 tip angles. Sizes 1, 2, 3, 4 and 5, 60 tip angles. 1). The use of multiple toolholders form an artificial tool magazine, can repeat replace toolholder. 2). Using the dial, operations with extension units, can be processed various angles workpiece. 3). 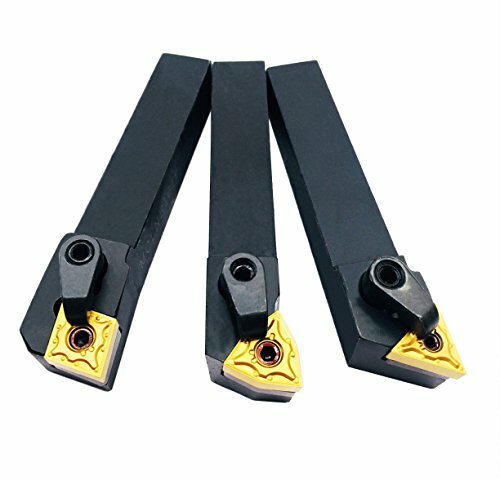 Toolholder for the adjusting screw nut and tool, adjust installation height , easy to operate, shortening the time loaded knife. 4).Fits 7x10, 7x12, 7x14, 7x16, 9x16" etc mini lathes.great adjustable capabilities, reduce the time to change tooling. each changing tools only takes a few seconds. 5). 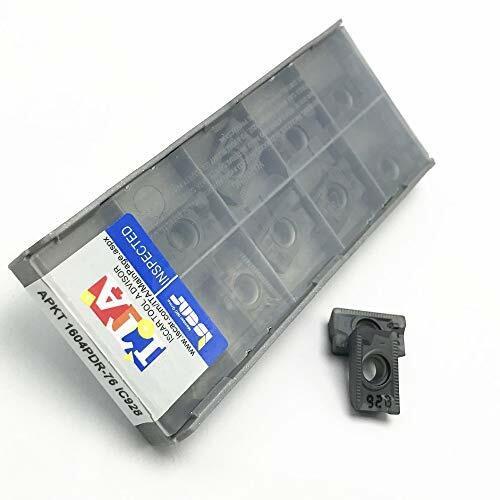 Replace the tool holder high positioning accuracy, reset accuracy within 0.004" range, the surface quality of machined parts, precision improved. 6). high stability processing.Material: High density. The Tool Post, high stability processing. a. It can be cylindrical, grooving, cutting, knurling, drilling, reaming and other processing. It implements the external machine loaded knife, the holder is mounted on the tool holder through dovetail. 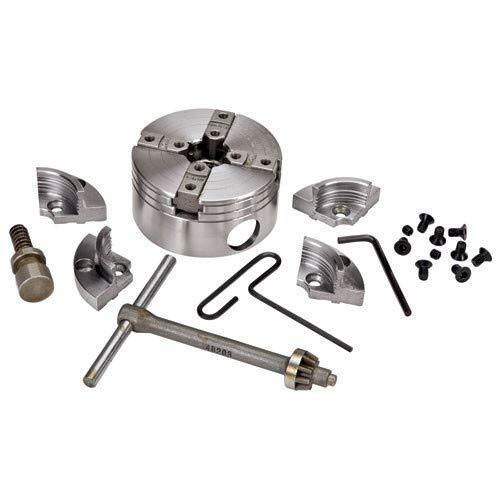 b.Quick change Tool Post is the main accessory of engine lathe, consists of a Tool Post and the holder of several composition, workpiece as required, select the appropriate toolholder. c. Tool change rapid, high positioning accuracy, high rigidity and other characteristics, is an alternative to the traditional square tool holder, the ideal product for fast turning. 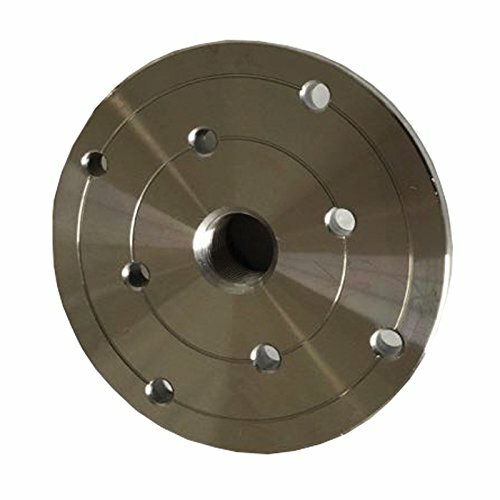 Material: Superhard Aluminum Alloy,Steel,Copper.Modeling novelty, compact structure, tool change rapid, good rigidity, high precision machining. Replace the tool holder high positioning accuracy, reset accuracy within 0.004mm range, the surface quality of machined parts, precision improved. 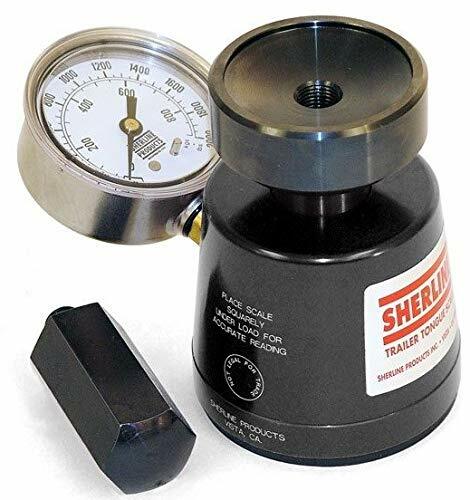 The scale uses a simple hydraulic principle to convert pressure into a reading in pounds on the gage. No delicate electronics, no batteries, and only one moving part. It is available with gages reading to 1000 lb, 2000 lb, or 5000 lb for 5th wheel trailers that typically carry a larger percentage of the overall weight on the gooseneck. Stop guessing and start towing safely. Reasonably priced for individual trailer owners. Great for travel clubs and trailer dealers too. The scale is machined from solid billet steel and aluminum. It has a 3.25" body diameter and is about 4.5" high without the included screw-on hitch extension. (6.75" with extension installed.) Actual weight is 4.4 lb. Gage diameter is 2.75". 3-Inch Steel Face Plate, with a 1" x 8 tpi mount. Use this spare faceplate for mounting extra bowl blanks. Perfect for all small bowl turning. Fits any lathe with a 1" x 8 tpi spindle thread. This 3-Inch diameter faceplate has 4 screw mounting holes, and two machined flats to grip with a wrench - easy on and easy off. 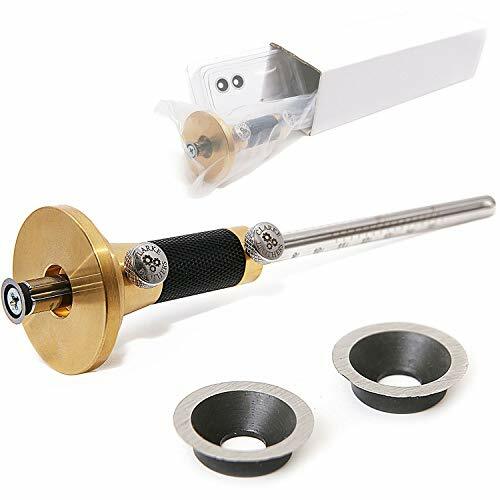 This pen Mandrel package includes a 7mm drill bit, (5) 7mm bushings, #2MT Mandrel saver Tailstock center, and a #2MT basic Mandrel (No threads or knurled nut). are you tired of bending your Mandrel and ruining the point on your live center? if so, then this package is for you. Mandrels usually bend when you tighten the Tailstock center point into the end indentation of your Mandrel. 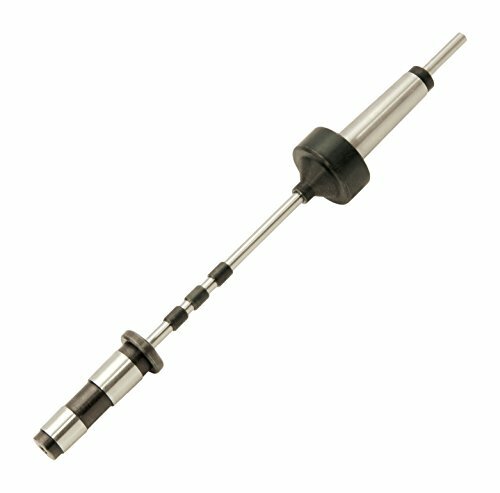 This system solves that problem because your Mandrel shaft goes through the hollow live center. Your bushings Press against the center with Zero pressure on the Mandrel shaft. The tube and Bushing assembly tightens up by turning your Tailstock quill adjustment wheel. No need for extra spacer Bushing as the system adapts to the length of your project. No need for the knurled nut that sometimes gets lost, misplaced or stripped. Great for turners of all Skill levels. Includes 7mm drill bit, (5) 7mm bushings, #2MT mandrel saver tailstock center, & #2MT basic mandrel. Perfect system to avoid bent mandrel shafts and ruining the point on your live center. System adapts to the length of your project. No need for the knurled nut that sometimes gets lost, misplaced, or stripped. Great for turners of all Skill levels. 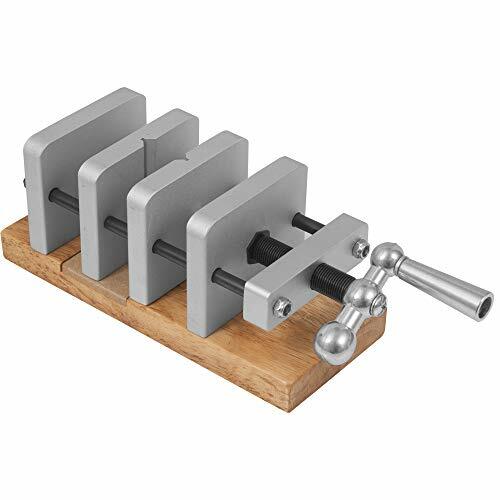 Easily locate and drill pen blank centers and Drill through the exact center of your pen blanks with this simple but effective Pen Centering vise. 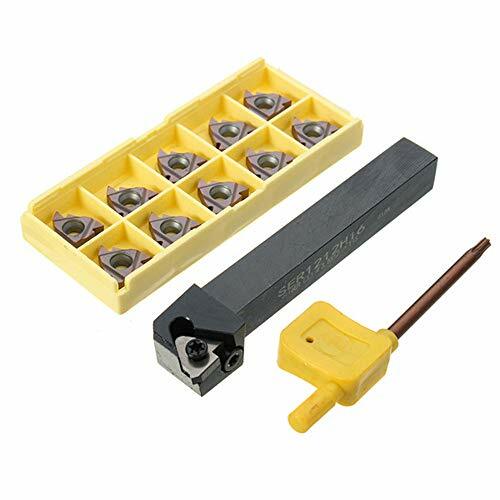 By far one of the best selling pen vises available, this jig will be a go to tool when turning your pens. The jaws on the drilling center move in and out simultaneously to insure precision center drilling of your blanks each and every time you use the vise. Just set up the vise once and drill all of your blanks in the exact center. There is no need to change the setup regardless of the blanks size or shape. 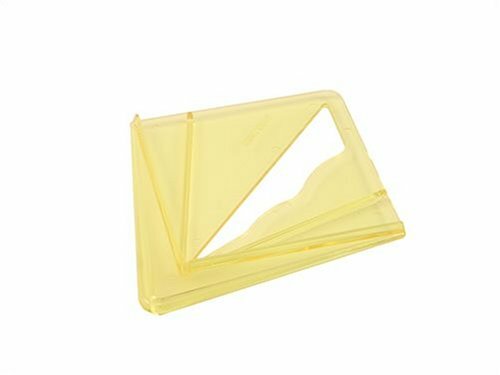 Holds blanks up to 1-1/2 square. The pen center vise includes a scrap board piece of mdf. It measures approximately 2 by 1/4. 4" steel faceplate. Pre-threaded to 3/4" x 16TPI. Faceplate has (8) mounting holes. Other available faceplates: 2" for 3/4" x 16tpi (CF2), 2" for 1" x 8tpi (CF2J), 3" for 3/4" x 16tpi (CF3), 3" for 1" x 8tpi (CF3J), 3" with Screw chuck for 1" x 8tpi (CF3SC), 4" for 3/4" x 16tpi (CF4), 4" for 1" x 8tpi (CF4J), 4" with Screw chuck for 1" x 8tpi (CF4SC), 6" for 1" x 8tpi (CF6). 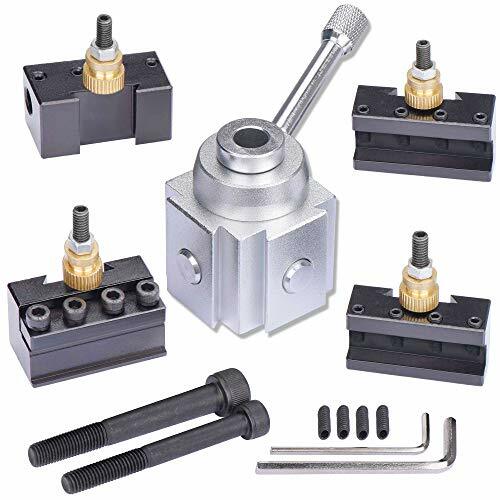 1.Quick change Tool Post is the main accessory of engine lathe, consists of a Tool Post and the holder of several composition, workpiece as required, select the appropriate toolholder. 2.It can be cylindrical, grooving, cutting, knurling, drilling, reaming and other processing. 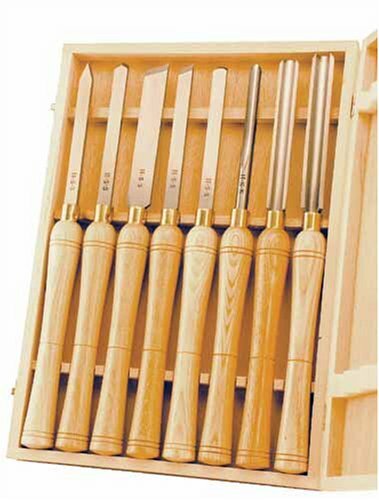 It implements the external machine loaded knife, the holder is mounted on the tool holder through dovetail. 3.Tool change rapid, high positioning accuracy, high rigidity and other characteristics, is an alternative to the traditional square tool holder, the ideal product for fast turning. 1. The use of multiple toolholders form an artificial tool magazine, can repeat replace toolholder. 2. Using the dial, each tool holder can be rotated multiple angle of 9 or 9 , operations with extension units, can be processed various angles workpiece. 3. Toolholder for the adjusting screw nut and tool, adjust installation height , easy to operate, shortening the time loaded knife. 4.Fits 7x10, 7x12, 7x14, 7x16, 9x16" etc mini lathes.great adjustable capabilities, reduce the time to change tooling. each changing tools only takes a few seconds. 5. 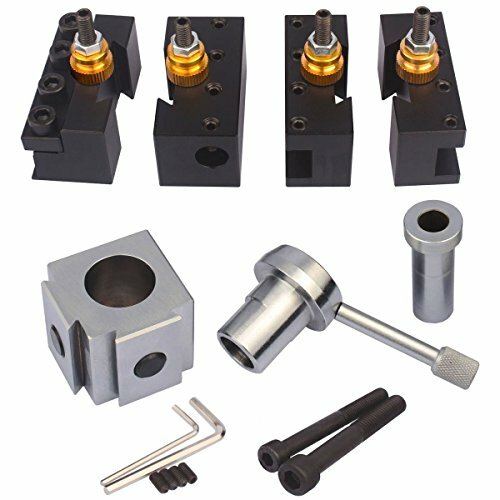 Replace the tool holder high positioning accuracy, reset accuracy within 0.004" range, the surface quality of machined parts, precision improved. 6. The Tool Post, high stability processing. Modeling novelty, compact structure, tool change rapid, good rigidity, high precision machining. Replace the tool holder high positioning accuracy, reset accuracy within 0.01mm range, the surface quality of machined parts, precision improved. Converts your Shop Smith lathe spindle so that you can use chucks with a 1" x 8 tpi thread size. Adapts to your 5/8-inch no thread spindle to accomodate any 1" x 8 tpi female mount accessory. Made of steel, and has set screw to tighten to the flat on the spindle. Extends the spindle length over 1-inch. 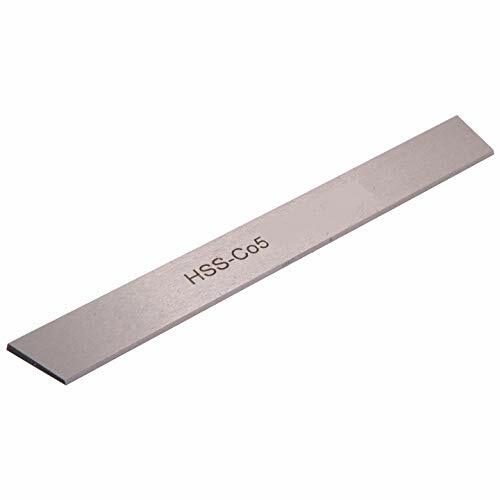 HHIP 2000-1110 HSS Cobalt Cut-Off Blade, 1/8" x 1/2" x 4-1/2"
1/8 X 1/2 X 4-1/2" 5% Cobalt Cut-Off Blade ~ Used with Aloris, DORIAN & KDK type quick-change tool holders. ~ 10 double beveled. Includes Midi-Lathe Bed Extension - 46-463. * SODIAL is a registered trademark. ONLY Authorized seller of SODIAL can sell under SODIAL listings.Our products will enhance your experience to unparalleled inspiration. 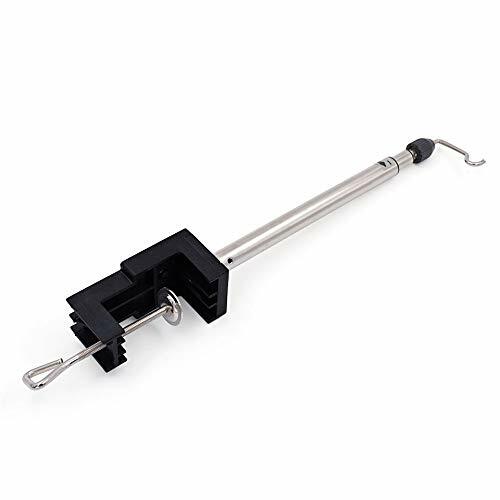 Color:black + silver Material:steel Size about:telescopic length 50cm Package Contents: 1pc * flex shaft hanger Only the above package content, other products are not included. Note: Light shooting and different displays may cause the color of the item in the picture a little different from the real thing. The measurement allowed error is +/- 1-3cm. Remember when you had maximum versatility with your wood lathe? Take on projects of all shapes and sizes with the WEN 3.75-Inch 4-Jaw Self-Centering Keyed Scroll Chuck. 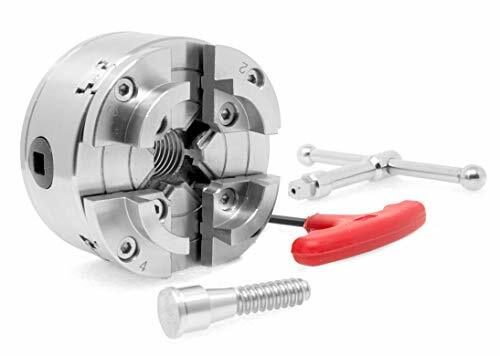 This versatile chuck features dovetailed jaws, allowing you to grip the outside of stock between 1-1/4 to 2-1/2 inches in size, or to hold internal pilot holes ranging from 1-3/4 to 3-1/8 inches in diameter. 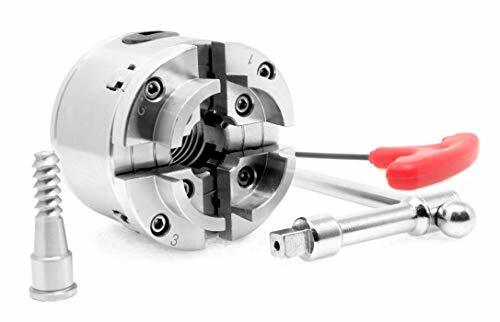 The keyed tightening mechanism prevents the chuck from opening during high RPM operation, providing maximum clamping power to your workpiece. If that s not enough, you can also install the included screw depending on the task at hand. Indexed backplate indicates 24 different positions while the included tools make for easy adjustments to the chuck. The 1 x 8TPI mounting thread fits a wide variety of wood lathes, including the WEN 3420, 3420T, 3424, 3424T, 34018, 3427, 34018, 34027 and 34034. Remember when you had maximum versatility with your wood lathe? Take on projects of all shapes and sizes with the WEN 4-Inch 4-Jaw Self-Centering Keyed Chuck. 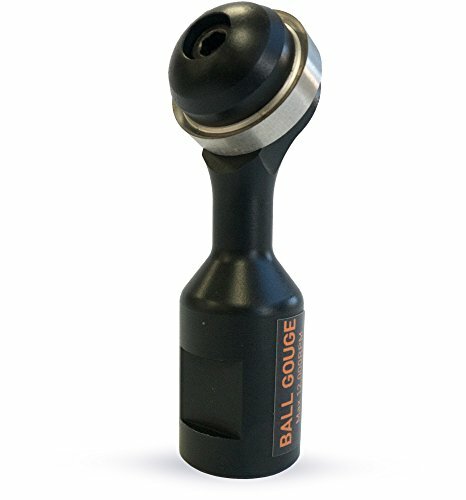 This versatile chuck features dovetailed jaws, allowing you to grip the outside of stock between 1.6 to 2.8 inches in size, or to hold internal pilot holes ranging from 2 to 3.2 inches in diameter. If that s not enough, you can also install the included screw chuck depending on the task at hand. The 1 x 8TPI mounting thread fits a wide variety of wood lathes, including the WEN 3420, 3420T, 3424, 3424T, 34018, 3427, 34018, 34027 and 34034. Extends to a narrow space where can not reach, pull the screw nut. Can bend to 105 degree and rotate left and right. Suitable for all electric drill and socket wrench,which allows to extend to where the drill can't reach to. Functional head is provided lock function, and magnetic device, secure sleeve without falling. 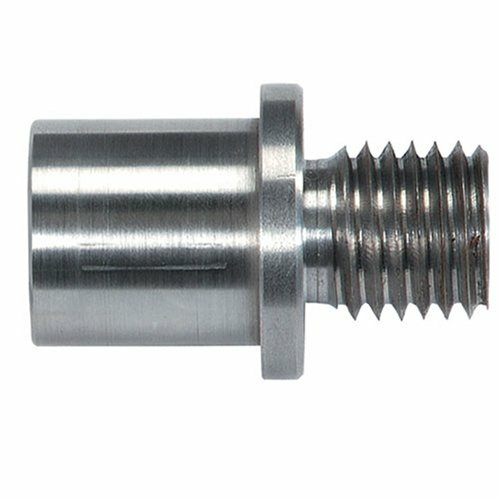 Features:CNC external threaded inserts 16ER AG60 metric thread;Threaded inserts reliable quality and stable performance;AG60 (0.5-3.0) common metric thread. 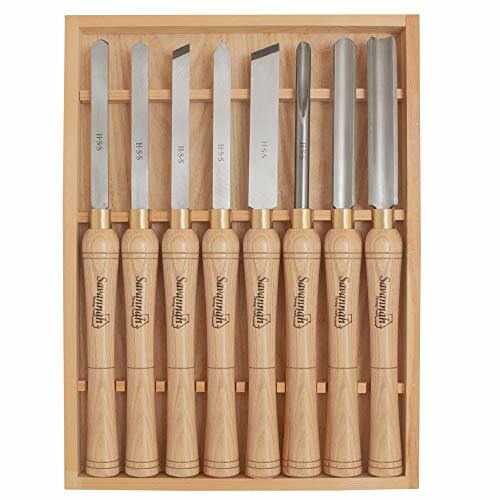 High strength, high toughness, stable and durable;Cutting fast, accuracy and stability;Suitable for steel, stainless steel;Come with storage box for easy to carry. Specifications:Inserts Material: Stainless steel;Inserts Model: VP15TF 16ER AG60;Lathe Model:SER1212H16;Wrench Model: T15;Inserts Shape: Triangle;Inserts Color: Purple black;Inserts Size:Approx.16x4mm;Lathe Size: 9x1.5x1.1cm;Inserts Box Size: 8.2x3.3x1cm. Note:16ER meaning blade diagonal distance 16MM Dimensions.Storage box color random! 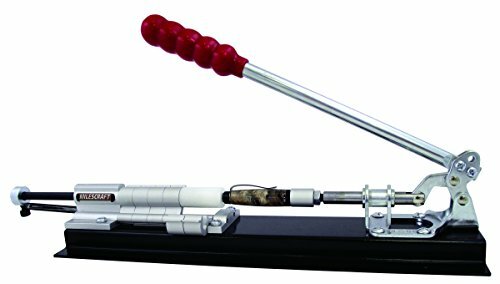 Services and Warranty: Threading Lathe Turning Tool Holder Boring Bar Set transported by Retail United States Ware House, Item Shipped From United States, Not China. You will receive it within 7 working days, so do not worry about the transportation problem. If you have any question, don't hesitate to contact us. We will provide the best service for you. 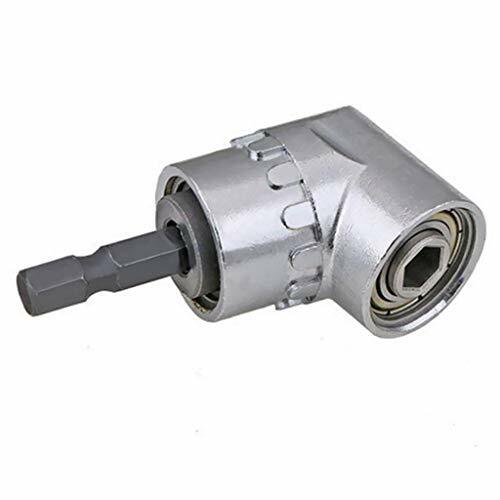 3/4'' diameter socket opening Item Dimensions 1 x 6.85 x 1 inches American made Ground rod driver with a deep socket and works with all rotohammers that have the SDS+ shank. Measures 6 3/4'' long with an outside diameter on the socket of 1''. The shank is the SDS+ (also known as SDS) and that measures approximately 3/8'' diameter. 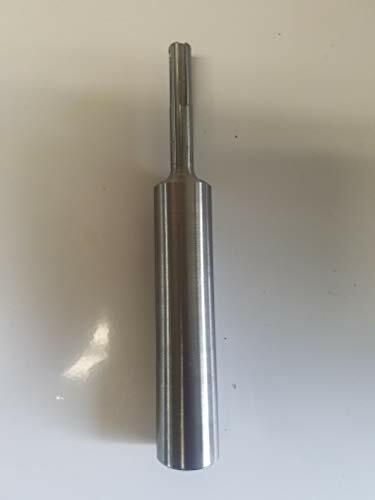 Used with rods which are 3/4'' in diameter. One piece machined construction with a long socket. Measures 5 7/8'' long with an outside diameter on the socket of 1''. The shank is the SDS+ (also known as SDS) and that measures approximately 3/8'' diameter. 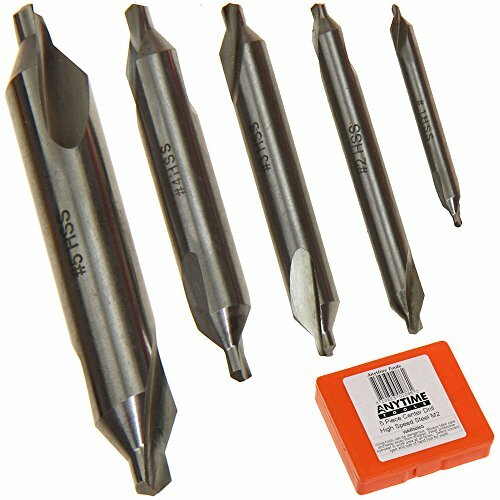 For the usage of MT shank, taper shank drills, reamers reducing. 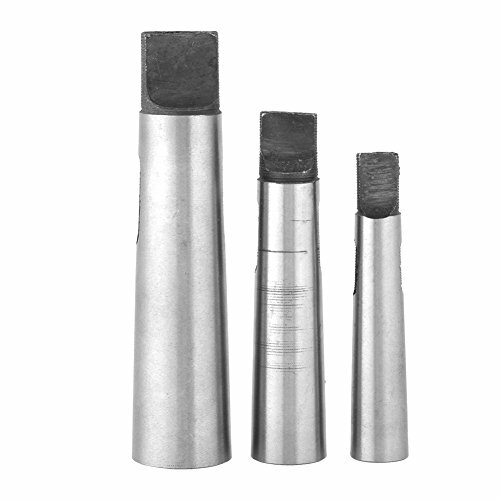 The reducing drill sleeve is made from high quality 45# steel, sturdy and durable in use. Adopts overall quenching process, long life, lasting, strong shock-resistance. High accuracy, inside and outside are very smooth. Easy to store and maintain, very practical tool. We strive to provide you with high quality and convenient service. We have a strong customer service team, welcome to contact Astyer if you have any question. Remember when you had maximum versatility with your wood lathe? Take on projects of all shapes and sizes with the WEN 2.75-Inch 4-Jaw Self-Centering Keyed Chuck. 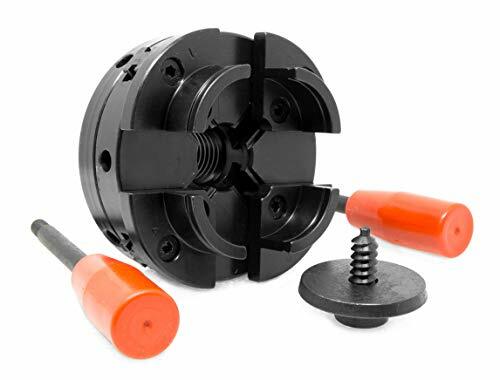 This versatile chuck features dovetailed jaws, allowing you to grip the outside of stock between 1-1/8 to 1-3/4 inches in size, or to hold internal pilot holes ranging from 1-1/2 to 2-1/8 inches in diameter. If that s not enough, you can also install the included screw chuck depending on the task at hand. Indexed backplate indicates 24 different positions while the included tools make for easy adjustments to the chuck. The 1 x 8TPI mounting thread fits a wide variety of wood lathes, including the WEN 3420, 3420T, 3424, 3424T, 34018, 3427, 34018, 34027 and 34034.